Concentrated and active extract for the scalp and against loss of hair of different etiologies. The main ingredients of the formula dilate blood vessels, stimulate micro-circulation, nourish the follicles of hair and supply it with oxygen. These processes result in activating cell division in the matrix and boosting hair growth. The extract also has intensive anti-inflammatory activity to effectively combat excessive hair loss. Apply the formula on the scalp once a week. Gently massage in with fingertips. After a minimum of 30 minutes wash your scalp with a tricho-shampoo. 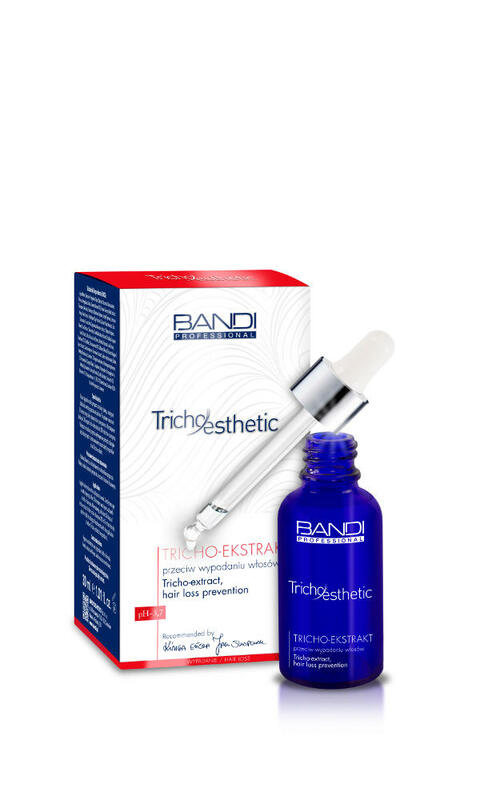 Alternatively, add about 30 drops of tricho-extract to the tricho-shampoo.